Joe is the branch office manager for ​CB Tax & Accounting. He is in charge of running the office, making all of the tough decisions, as well as client satisfaction. That is his # 1 job. Joe will often remind all of the employees that “if you don’t take care of your clients, someone else will”. Client service and customer satisfaction is our biggest goal. Joe also meets with our clients to go over any of their retirement questions or goals. Joe and his wife Deena reside in Painesville Township with their daughter Abby. Contact: joe@cbtaxohio.com. Patty has been doing taxes for ​over twenty years. Prior to joining ​CB Tax & Accounting, Patty was doing personal taxes at this same office, but under Kozie Financial, before William Kozie retired. Patty is one of the most trusted and well liked tax preparers in our office, having done some of our client’s taxes for the last twenty years. Patty and her husband Gus live in Strongsville, Ohio. They have 4 children and 4 grand children. Contact: ​patty@cbtaxohio.com. correct cost basis for a client upon the sale of a stock or mutual fund. She also performs various administrative tasks in the office. She is a graduate of Ohio Northern University. Jackie is married to Jim. They have a daughter, Alina, and live in Parma Hts. Contact: j​ackie@cbtaxohio.com. Jackie is married to Jim. They have a daughter, Alina, and live in Parma Hts. Jackie is one of our two administrative assistants in our office. She is the one that answers the phones when our clients call or sets appointments for the clients to meet with their respective tax preparers. Jackie is our “Cost Basis Queen” and figures out the correct cost basis for a client upon the sale of a stock or mutual fund. She also performs various administrative tasks in the office. She is also a graduate of Ohio Northern University. Jackie is married to her husband Jim. They have a daughter, Alina, and live in Parma Hts. 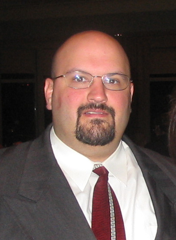 ​Dean Scouloukas has been a financial services industry professional for more than fifteen years. In addition to being a Registered Tax Return Preparer, he also holds a license to practice Insurance in the State of Ohio. Dean writes life and health insurance, disability income and long term care, homeowners, auto and business insurance with more than 30 of the nation's highest rated insurance companies through Infinite Options Insurance Agency. He has earned an Associates Degree in Accounting from Cuyahoga Community College and a Bachelors Degree in Communications from Kent State University. In his spare time, Dean volunteers with the Cleveland Metroparks and is a member of the North American Scrabble Players Association. Contact: ​dean@cbtaxohio.com. Denise is the accounting part of ​CB Tax & Accounting. Besides doing the administrative work in the office, she is in charge of payroll, filing quarterly tax reports, and bookkeeping for our business clients. She is a talented administrative assistant and also helps out with the preparation of income taxes. Denise resides here in Strongsville with her son and daughter. Contact: ​denise@cbtaxohio.com. Harry has been preparing taxes with us since 2008. He has his Accounting Degree and is an Enrolled Agent (Federally-authorized Tax Practitioner who can represent clients on matters of audits, appeals and collections before the IRS). He handles the majority of the business returns that we do. He also enjoys working with the many individuals that he files returns for and is always excited to get new clients. Harry and his wife Carolyn have five children and live in Chardon, Ohio. Contact:​ harry@cbtaxohio.com. Harry and his wife Carolyn have five children and live in Chardon, Ohio. Pat joined our office along with his brother Harry. Pat handles the majority of clients who drop off or mail in their taxes to our office. In addition to preparing some of these taxes, Pat also serves as quality control to the rest of the tax team, which means he checks the returns to make sure we are utilizing every credit and deduction we can use. Pat and his wife Jill live in Chardon, Ohio with their daughter Erica and son Patrick. Mary is a licensed Ohio CPA and has worked with Chuck at CB Business for over 10 years. Her responsibilities include tax preparation for both individuals and small businesses, as well as accounting services for the companies. She also deals with various taxing agencies based on client needs, and looks forward to meeting new clients at our newly merged office. She has 2 grown children and lives with her retired husband Mark in Parma Heights. Contact: mary@cbtaxohio.com. Diane Dodge is a full charge bookkeeper who has been preparing personal and business tax returns since 1977. She is interested in Women's Rights and currently is the director for a small statewide non-profit which monitors legislation on issues of domestic violence, family law and civil rights. Diane lives in Brecksville with her crazy dog, Blue. Contact: diane@cbtaxohio.com. Chuck is a licensed CPA in Ohio and owner of CB Business Consultants for the past 30 years. His firm specialized in small businesses. During that time he prepared corporate and individual tax returns, and provided other accounting services, including consultation in the area of tax planning. He is excited about the recent merger and looking forward to contributing his expertise and experience to the new venture. Chuck and his wife Donna reside in Parma. They have 2 grown children. Contact: ​chuck@cbtaxohio.com. ​Lori has been with CB Business Consultants for 2 years and a long time client since 1986. She is in the administrative and payroll department. ​Lori is a graduate of Columbus Business University. Upon graduation of CBU was employed at the Ohio House of Representatives until getting married to her husband, Steven. She lives in Parma with her husband, Steven and has 4 children. Contact: lori@cbtaxohio.com. John is the Certified Public Accountant (CPA) in our office. He has been a practicing CPA since 2002. John is married with four children.